Comprehensive all-suspension bike Santa Cruz Bronson CC 2018 for enduro practice. Innovative geometry combined with high-quality carbon fiber make this frame the best in the world in its class. A very comfortable and powerful bike absolutely everywhere ! The lightness of the assembly is harmonious and allows a perfect balance between the back and the front of the bike in the ascending and descending phases, thus it allows a greater effort management. The design of this Bronson C blue and orange is simply sublime thanks to a mixture of shapes rounded while sobriety. 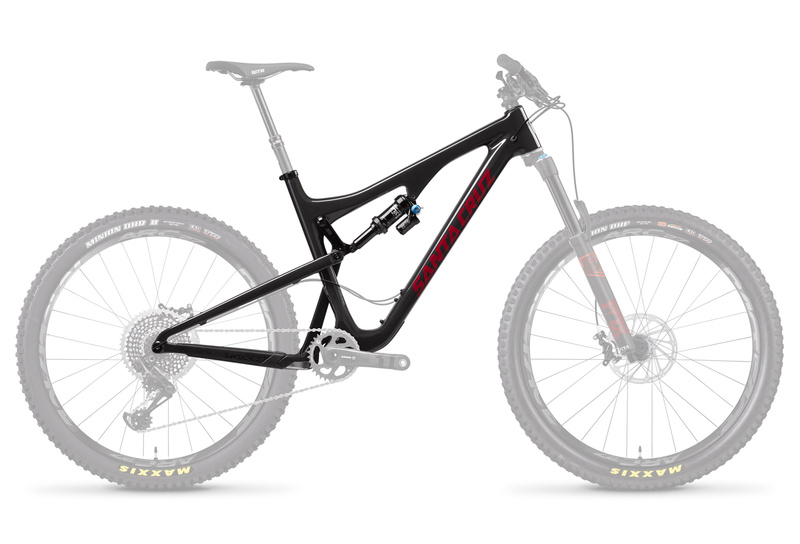 The signature Santa Cruz is distinguished here by the shape of the frame while finess at the level of the base and suspension without sacrificing ergonomics. The Bronson CC has an outstanding performance thanks to the carbon fiber frame and its technical characteristics. The vertical and horizontal stiffness allows the suspension to work properly without disturbing the pedaling, otherwise the steering will be much better and more precise than ever.